For every UBC athlete and team crushing it at their respective sport, there is a team of talented sports scientists with a wealth of research at their disposal that are working behind the scenes to help athletes better perform. James Brotherhood is one of these sports scientists. Brotherhood is the senior manager of sports science and sports medicine with UBC Athletics. He describes sports scientists — his colleagues — as knowledge translators, who take the latest research in their respective fields and put it into practice in order to improve the performance and health of athletes. These researchers, however important their work is to the advancement of sport, don’t usually take credit for their role in an athlete’s success and prefer to avoid the limelight. “It’s ingrained into us to be low-profile, high-impact. So, unless you’re looking for it, you’re not even going to notice the sports science team,” Brotherhood said. The success in Brotherhood’s career so far is largely due to great timing. The 34-year-old scientist grew up in Calgary, Alberta and studied at the University of Alberta for his undergraduate degree. He had always played sports — he was a high-level provincial volleyball team when he was younger — but felt like there was a sizeable hole in his life where sports used to be when he came home from his second year of university. When he got back to Edmonton for his third year of school, he joined a local rowing club as a novice and found success. During the winters, the team practiced indoors on rowing machines as the rivers were iced over. The rowing machines were just across the hall from the offices of kinesiology where the resident scientist would enlist the rowing team to help with experiments every winter. This exposure to sports science and the constant surrounding of researchers and graduate students really got Brotherhood interested in the field. An economics major at the time, Brotherhood made an almost immediate switch to kinesiology. It all snowballed from there. Brotherhood started volunteering at the exercise physiology labs at the University of Alberta under Dr. Gordon Bell and fell in love with the subject, especially from a performance perspective. Bell connected Brotherhood to the Canadian Sport Institute (CSI)— an organization that helps train elite and Olympic level athletes — and Brotherhood did an internship in Victoria with them in the last year of his undergraduate degree. The avid kinesiology major then started his masters of science at the University of Victoria where he rowed for the school as well. In 2006, he got his first job with the CSI working closely with national teams and Olympic athletes to help them reach their goals; he worked specifically with the sailing team and the rowing team. Brotherhood got his big break in the sports science field at the beginning of his PhD, when he was seconded to work with coaches and athletes at UBC in 2012. Brotherhood’s work with CSI made him a great fit for new opportunities in the field and for the goals CSI hoped to achieve at UBC. Brotherhood and Pattenden created a proposal and that year their plan was piloted. He would still be a Canadian Sport Institute staff member, but he would be seconded to UBC Athletics 50 per cent of the time. Though his path to sports science seemed rhythmic, it was the timing of his career development that could not have been more perfect. The 2010 Olympics had been announced just as he was finishing up his undergrad. All of a sudden, there was a lot of new money in sports — particularly new money for sports sciences. What’s more, there was huge growth happening in his sector and Brotherhood fell into that lucky hole in the field. 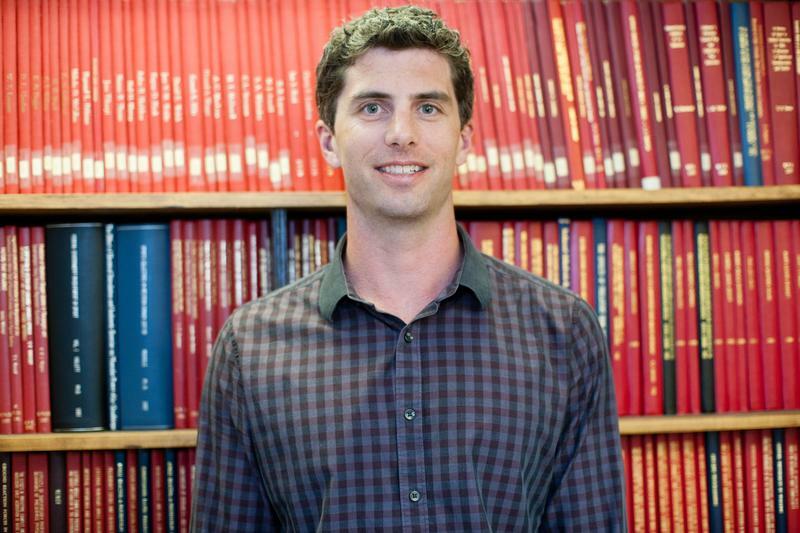 Now, he is leading the way for sports scientists on campus with his continued work with CSI. In addition to leveraging resources from CSI and using already existing structures and framework to improve athlete health and performance, Brotherhood has also gotten to work on other interesting projects, including wearable technology with the UBC men’s volleyball team and an acclimatization chamber with UBC distance runner Kieran Lumb. Going forward, Brotherhood is very optimistic about the upcoming season, especially with the work that UBC sports scientists have done in the past few years. “By my estimation, we’re going to be very competitive for upwards of 15 championships this year. The next closest school wins four,” said Brotherhood.